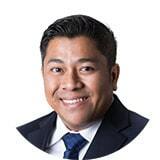 Jamil is a Registered Trust and Estate Practitioner (TEP) with the Society of Trust and Estate Practitioners (STEP) and a Registered Chartered Trustee (ChT) with the Singapore Trustees Association. Jamil has 20 years of in-depth experience in trust and estate planning, fund management, investment structuring as well as business development. Jamil has assisted various clients in establishing private trust structures as well as structuring clients’ financial transactions and cross-border transactions. His work in trust matters include active cross-selling of trust structures with other major financial institutions and banks as well as the provision of in-house training on various trust structures. He started his career with Bank Trustee and boutique fund management companies. Prior to joining ZICO Allshores Trust, he was with two different independent trust companies in Singapore as the Director, Business Development and Head of Indonesian Market.